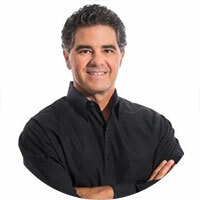 Mark Testa is a licensed chiropractor, acupuncturist, holistic-healthcare provider, health educator, and entrepreneur. With over 25 years of experience in active clinical practice, Mark also possesses a master’s degree in health administration. He is the first chiropractor on the medical staff at Denver Health and for the span of his career has successfully bridged the gap working side by side with medical doctors, surgery centers, and hospitals to develop integrated clinical models to treat musculoskeletal pain. Mark has been involved with the growth of Regenexx and regenerative medicine since 2010.